For me, one thing that’s up there amongst the suckiest things about winter is the lack of tomatoes that actually taste of anything. The only way I’ve found to coax some flavour out of them is to smother them in salt and olive oil and roast them long and slow in the oven. Then they’ll reluctantly relinquish some sweet concentrated flavour, along with delicious umami-rich cooking juices to boot. 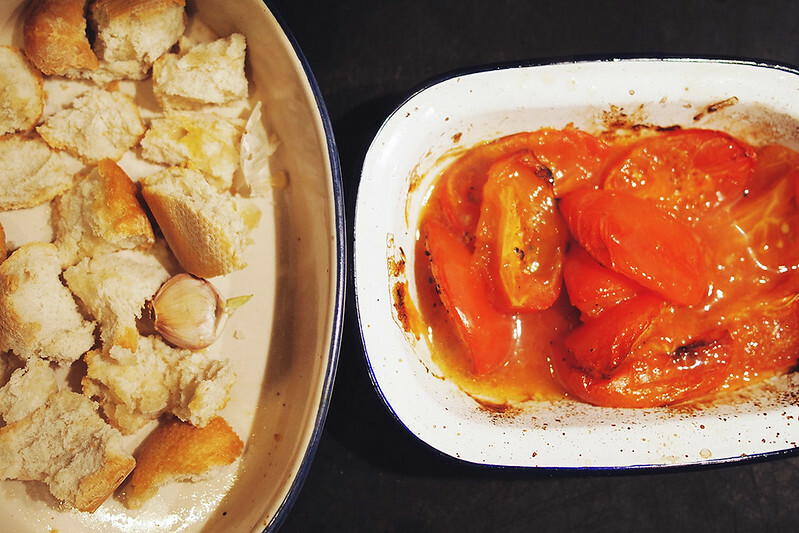 Panzanella is one of my favourite summer dishes, so I’ve adapted the basic idea to make it a warming winter dish that can get away with flavour-lacking tomatoes. 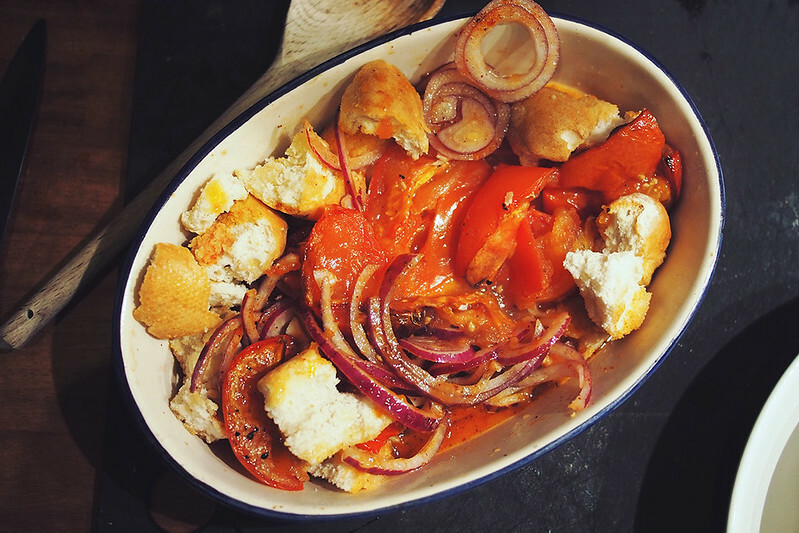 In fact, I reckon it’s even better than summer panzanella – we’ve had it for dinner three times this year already. It’s incredibly easy to put together and rather healthy too. I also made use of my new spiralizer (a Christmas gift) to add some greenery in the form of courgettes instead of the summer cucumber. 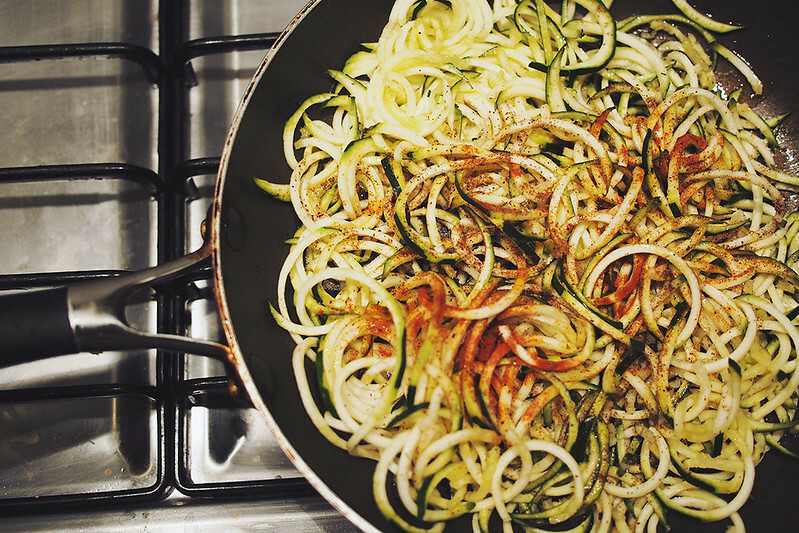 I LOVE the spiralizer, by the way. Far from being a faddy gadget, I’ve already used it loads already since it’s so easy and produces perfect little veggie ribbons that can be cooked in exciting new ways. 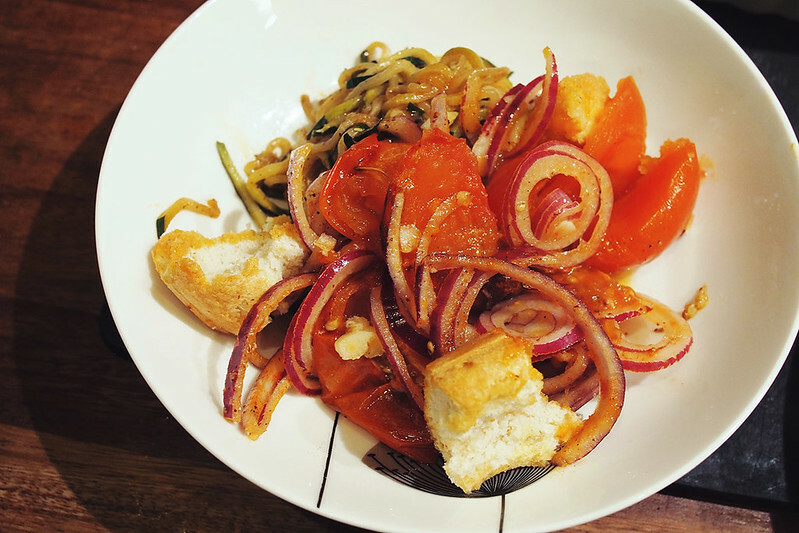 Any favourite spiralizer recipes to share? The spiralizer cones in handy to slice onions nice and thin too. 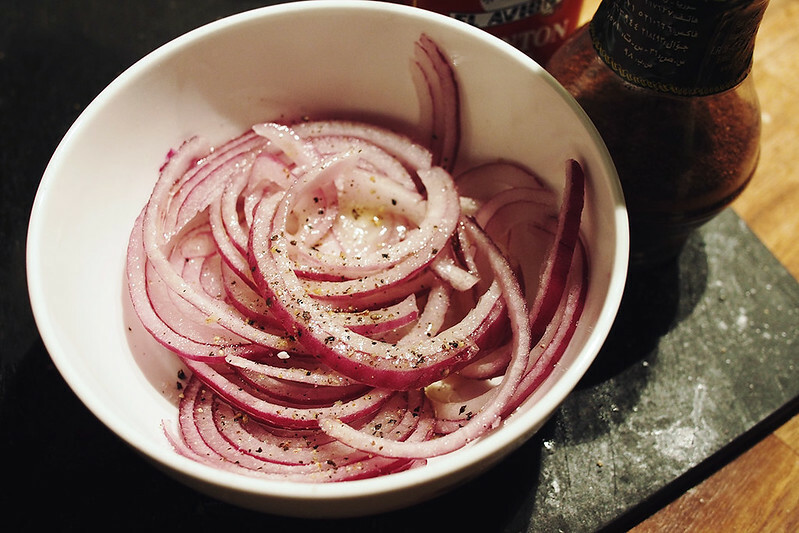 Don’t be scared of the raw onion – the acid and salt help to soften it and take away the harshness. This looks really yummy, have to try this! Ooh, big fan of panzanella too from my years in Tuscany, but a winter version sounds brilliant. I’ve also been on the hunt for more recipes with sumac in since I don’t use it enough! Love my spiraliser. Possibly best kitchen purchase ever, bar my Japanese knives! I love sumac, it gives such a nice tangy warmth. I love my Japanese knives too! Ooh, thanks for sharing this! I find vegetarian cooking a big chore in the winter, but I’m excited to give this a try! Hope you like it! Roasted and charred is definitely a good way to go in winter. I whipped this up last night and absolutely loved it!!! It’ll definitely be a frequent repeat in my house. Thank you for sharing! Oh I’m so pleased you liked it! It’s a regular for us, too. Panzanella is one of our fave summer dishes. I also do a spring version but have never tried a winter one, this looks yummy! 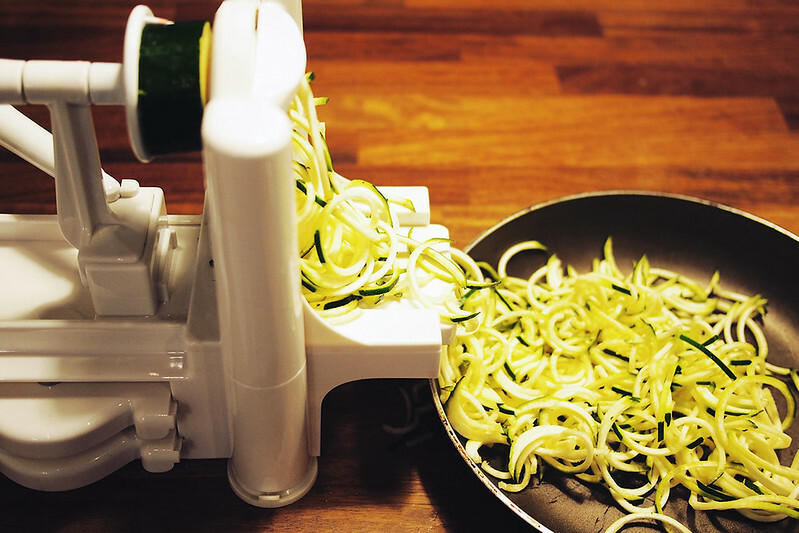 I have been toying with the idea of getting a spiralizer, they look so fun! They are definitely fun, genuinely useful too! This looks so delicious! I’ve always wanted to try make a Panzanella, but never actually made one. This looks like such a nice wintery version. I’ve been wanting to get a spiraliser for ages now, but I though it would just be a one off gadget that I’d use and forget about. You’ve restored my faith in it haha! Hi Katie, i just found your blog, love it and bookmarked it right away! :) if you don’t Mind me asking: what kind of camera and lenses do you use?